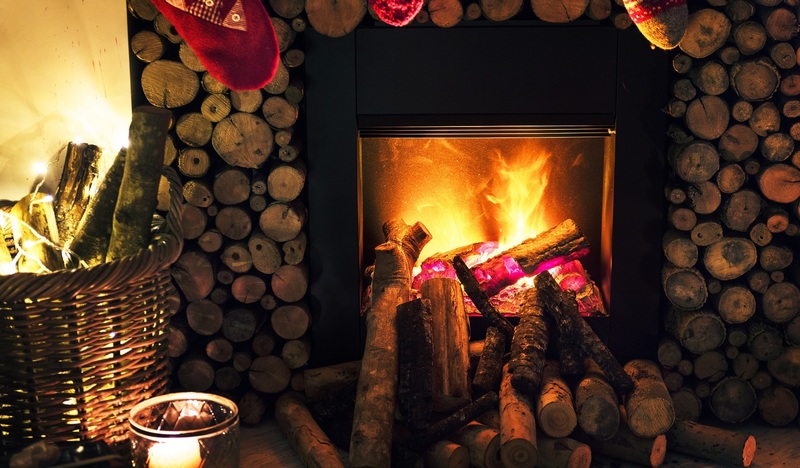 With the weather getting decidedly chillier, now could be the time to start making your home nice and cosy ahead of the Christmas break. And the good news is, you don't have the break the bank to achieve this - you just have to follow Martin & Co's guide on how to make your home cosy below! Clean and crisp silvers simply won't cut it during the winter months. If you really want to add a cosy feel to your property then warm metals are the way to go. Copper, bronze and brass can really warm up a space. Hang copper pots on the kitchen or dining room wall and use warm metal cutlery for dinners. And remember: You don't have to spend a fortune. Antique copper can be bought at car boot sales or garage sales. If it's looking the worst for wear, rub some salt on it followed by a slice of lemon... It will come up good as new! For old stainless steel pots and pans you want to use for decoration, consider a copper spray paint to bring out their warming tones. Adding glowing lights with an orange tone can really add to the cosy feel of your home. Combined with hanging warm metals, glowing lights with exposed bulbs in a kitchen will see all that lovely warm light bounce around the room. Using spotlights in the kitchen, in glass fronted cupboards or above work surfaces but on a separate switch, will allow you to control the level of light depending on natural lighting conditions. The best tip for a warm glow in your home is to have lots of separate lights on different switches and to use dimmer switches for main lights. This gives you the control you need to create a delightful cosy glow as the nights draw in. Adding depth to your rooms is a great way to create that cosy feeling. Add a sophisticated and rich wallpaper pattern to a feature wall in your living room - and don't forget that warm lighting to bring out the detail. Curtains can have the same affect. Deep textured patterns really bring out that cosy feeling in a living room or bedroom. If your budget doesn't stretch to a high quality wallpaper or curtains, fear not! Seek out a rich wall paint to complement your lighting. Real wood flooring can immediately add a welcoming, warming feel to your home. But flooring is not the only way you can use wood to give your property that cosy feel. Try wooden window trims or, if you have money to spend, add wood doors and surrounds. If you go for the flooring option, remember to leave only part of the floor exposed - we'll tell you why next! If your home boasts lovely welcoming wood flooring, complement it with a deep pile rug, particularly in living rooms. If your budget doesn't stretch to a large rug, try laying smaller deep pile rugs in key spots like under the coffee table or in front of sofas. If you have a bit of spending money, consider fitting a deep pile carpet in the living room to complement warm wood flooring in hallways. A deep pile paired with thick curtains is cosy heaven! Now the heat of summer is firmly in the past, swap out your crisp linen bed sheets for flannel textures. Place a deep pile throw at the end of the bed to pull up on really cold nights. Layering living room furniture with throws and blankets is also a great way to create a warming feeling in your property's main space. Add some textured cushions in warming colours to the mix and you'll soon forget the outside chill! While the right lighting tone and a dimmer switch can add a warming glow to your home, there's no better soft lighting than a candle. As soon as the last hints of daylight disappear, get a variety of candles lit in key areas of the home. Use different sizes to create dimension and use a candle with a smokey scent of spices to push the sense of smell into cosy overdrive. Books have always had something of a comforting feel, so put your library on display. Either fit some shelves to an existing cove in your living room or buy in a shelving unit. If your book collection is sparse, try placing a few books around the shelves with other items and knick-knacks. An empty wall, even one decked out in warming tones of winter either through wallpaper or paint, is a wasted space. While images of family and loved ones won't make your home cosy in a literal sense, a glance up to a wall of pictures of those closest to you will make you feel cosy inside. To find your perfect home this winter, take a look at all properties available from Martin & Co.